What is “kennel cough”? 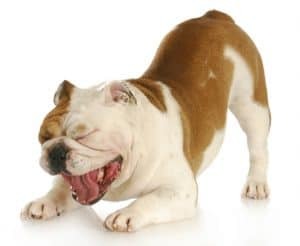 Kennel cough is also known as Canine Infectious Respiratory Disease Complex (CIRD) or Canine Infectious Tracheobronchitis. This condition is not limited to the trachea and/or coughing. Some of the clinical signs may include sneezing, coughing, nasal and/or eye discharge, fever, lethargy, difficulty breathing and sometimes could include lung disease, such as pneumonia. A common misconception about the disease is that only pets that go boarding or spend time at a kennel are at risk. This confusion can come from the similarity between the name of one of the causative agents, Bordetella bronchiseptica, and the word “boarding”. Pets that are around other dogs at the dog park, neighborhood, grooming facilities, and doggie day care centers are all at risk of becoming infected. We recommend having your pet up-to-date with all the necessary vaccines a few weeks prior to boarding, grooming, visiting the dog park, and any other exposure to dogs. 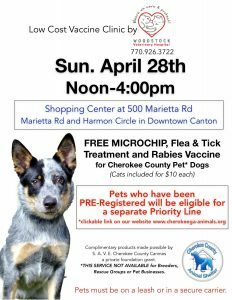 Also, ask your groomer and boarding facility which vaccines are required for admission. 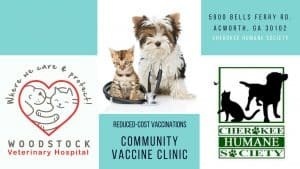 A good facility will require or recommend having your dog vaccinated for Canine Distemper, Adenovirus 2, Parainfluenza virus (DA2PP Vaccine), Rabies, Bordetella and Canine Influenza Virus H3N2/H3N8, as all of these infectious organisms are very contagious and can cause serious disease. If your dog develops any of the symptoms related to CIRD Complex, please notify your veterinarian immediately. Remember, these diseases are very contagious and may spread to other pets by sneezing or coughing, but also by fomites, which are inanimate objects, such as clothing and food bowls, that are capable of transmitting infectious diseases. Your veterinarian should be able to test and try to identify the cause of the CIRD Complex. If treatment is needed, it should start immediately to improve the comfort of the pet and to potentially prevent serious complications, such as pneumonia.